Luxury Desert Living in The Redlands! Sprawling custom ranch style home resting on 2.53 acres bordering open space with unobstructed views of The Colorado National Monument. 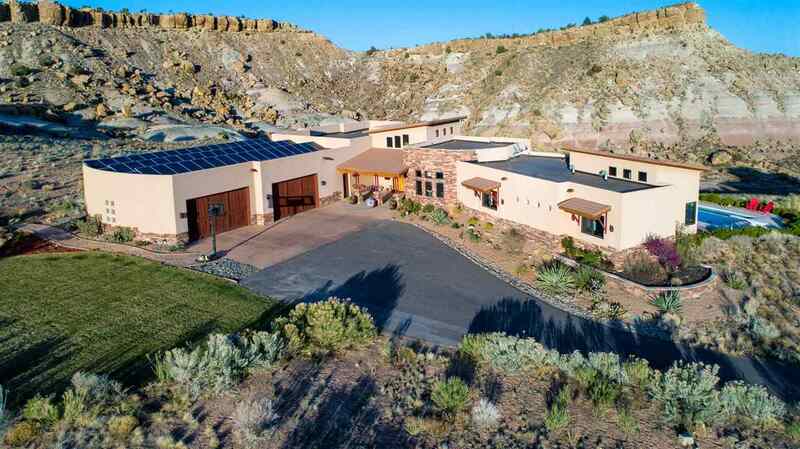 This home has been exceptionally designed inside and out with an original EnergyStar rating of 7, the lowest HERS score in the state at the time of completion; incorporating solar and Geothermal heating and cooling. Four bedrooms, 4 bathrooms, generous office with built-ins, entertainment room with wet bar, gym, gorgeous chef&apos;s kitchen, formal dining room with picturesque views, Wifi based home automation system, and high end interior finishes throughout. Dream pantry and laundry/mud room. Heated oversized 4 car garage, wine cellar, beautifully xeriscaped for low maintenance, a 16x40 9 ft deep heated saltwater pool, and just steps to popular trails, this home has it all. Home has wheelchair accessibility throughout.